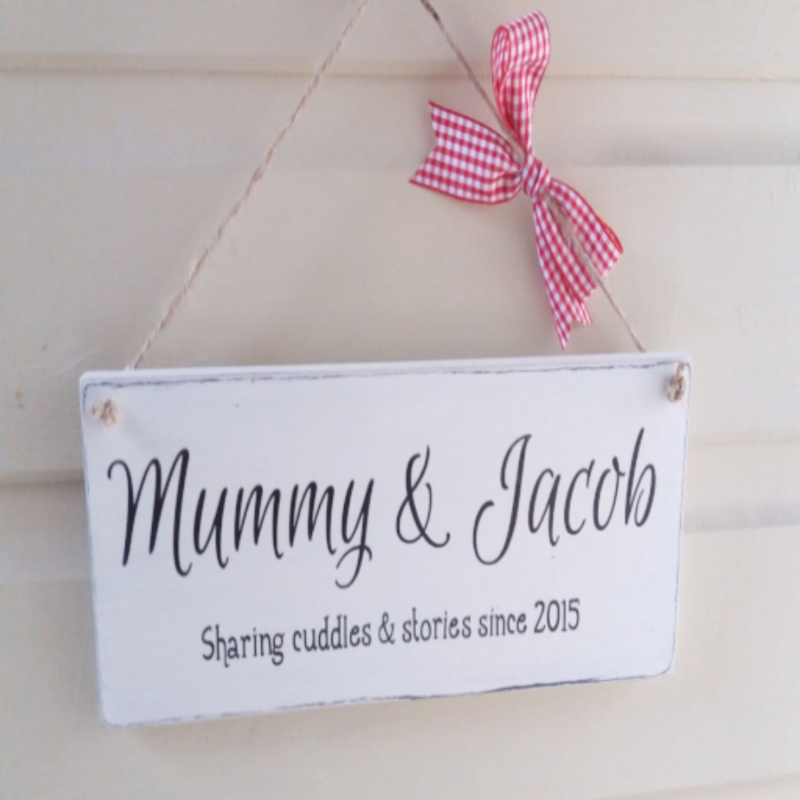 Such a lovely wooden plaque to display at home. Painted in a vintage white chalk paint and distressed around the edges. Two holes in top two corners are threaded with jute to enable hanging and decorated with your colour choice of ribbon. 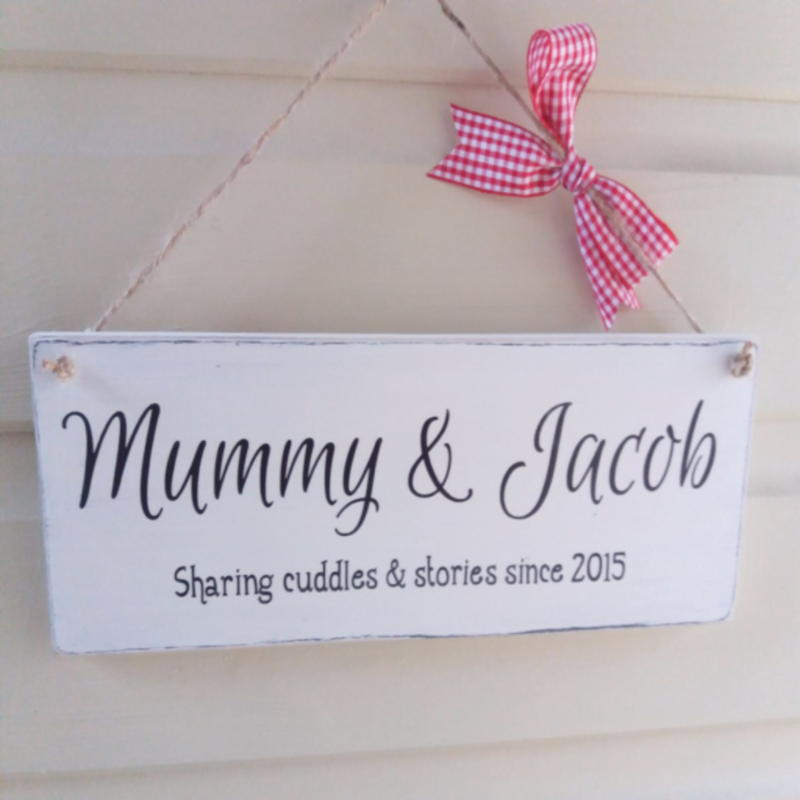 You can change a lot on this plaque to suit making it a truly wonderful gift. The text is applied and sealed for protection. 30 x 10cm Made from Birch wood. Just to let you know the plaque has arrived safely and it's absolutely beautiful, thank you so much.